This all natural 15-Day Cleanse is formulated to provide results in 12 to 24 hours. I'm not sure why, but having Multiple Sclerosis (MS) makes everything work a little differently on me, so it didn't really kick in till day three or four for me. My son on the other hand had results that seemed almost immediate! The 15-Day Cleanse claims to "rid your intestinal tract of excess waste, reduce bloating, and help increase energy" and I can attest to the fact that all three of these claims are true. It has also allowed both me and my son the opportunity to shed several several pounds before the end of summer! All within just a few days! 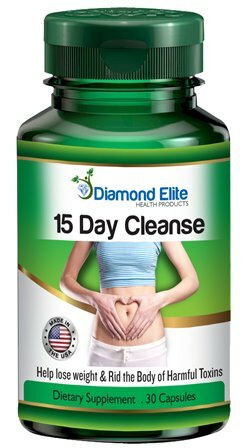 15-Day Cleanse contains an effective natural laxatives, fiber, herbs which help soothe the intestinal lining and Acidophilus to help promote healthy bacteria levels in the intestinal tract. I take a large amount of medication and it can cause constipation. 15-Day Cleanse is the best product I have found on the market to assist with that issue. While the 15-Day Cleanse label instructs us to not use it on a daily basis, or beyond the 15-day cleanse period, the 15 day cleanse process can be repeated in a few weeks. I know I will be using it again!